The Joyce Nichols Community-based Projects Fund (JNCPF) of the NCAPA Endowment is designed to foster knowledge and philanthropy to improve quality health care to under-served patient populations at the local level. The NCAPA Endowment will provide up to $2,000 in one-time seed money to a new or ongoing community-based project. This program will support projects that will focus on community-based initiatives through service, education, and/or research. The JNCPF intends to foster philanthropic contributions that PAs make to their communities or PA focused research that can add to the understanding of how PAs can provide high quality health care. Applications will be considered for projects organized by practicing PAs or PA students in cooperation with faculty sponsors in North Carolina. (Priority will be given to PAs who are members of NCAPA) Applications from previous grantees are welcome. Priority will be given to first time applicants. One grant may be awarded each year. Service: Projects that will provide direct services to people or communities to improve human conditions in emergency or non-emergency situations. Research: Projects that will explore the effectiveness of health-related activities on a local level and that will lead to heightened social awareness of a major health focus (e.g., determination of the effectiveness of a health literacy program). Funds may not used for computers, production of videos, capital expenses, salaries and honorariums. Applications that will address improved care for underserved or high risk patients will be given priority. Find complete information and the application procedures here. The suggested award amount is $500 but larger amounts can be requested for consideration by the Endowment Board of Trustees. The number of grants funded per year will depend on the availability of funds. A preliminary budget will be submitted with the application and post event reconciliation will be required. PA members or Student members of the NCAPA can apply for grant money to support initiatives or attendance at events which emphasize health care economics, advocacy or leadership development. Within 3 months of the event, submit a summary of the event including confirmation of how monies were used. Please also provide photo from the event which can be used in future NCAPA Endowment marketing materials. The Mark Sizemore and Mandy Dozier Memorial Grant of the North Carolina Academy of Physician Assistants Endowment was established to support continuing medical education program designed for physician assistants. The fund has been accumulating donations since 2010 and began accepting applications for grant money in 2014. The suggested award amount is $500 but larger amounts can be requested for consideration by the Endowment Board of Trustees. The number of grants funded per year will depend on the availability of funds. The monies cannot be used for pharmaceutical sponsored events unless the event is funded by a pharmaceutical educational grant or exhibiting fee for vendors outside the educational venue. A preliminary budget will be submitted with the application and post event reconciliation will be required. Regional chapters in good standing with NCAPA can apply for grant money for no more than one educational program per calendar year. Previous grantees are encouraged to apply in subsequent years. The Kober Treatment Grant Fund (Kober Fund) was established in 1998 by NCAPA’s then-president, Charles Kober. The fund provides monetary support to PAs participating in the North Carolina Physicians Health Program (NCPHP), who are in need of financial assistance in order to undergo residential or outpatient treatment, or comprehensive assessment. The fund is made possible by contributions from individual donors, and is administered through the NCAPA Endowment. 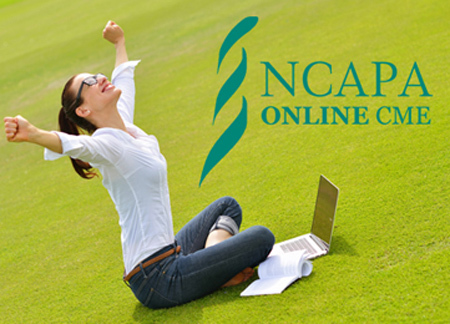 NCPHP has a Treatment Scholarship Fund that is available to all financially challenged NCPHP participants. PAs who are approved for, and receive the maximum annual amount from the NCPHP fund, and find they are in need of further financial assistance may apply for assistance from the Kober Fund.The purpose of these supplemental funds is to reduce the chance that finances will be a barrier to PAs getting the help they need to recover from problems that threaten their livelihood and well-being. NCPHP will notify the NCAPA-NCPHP Liaison of any PA with financial need that exceeds the NCPHP scholarship fund. Applications for Kober treatment grants are available from the offices of NCPHP and NCAPA. Unique ID numbers are used to protect identities of applicants. Up to $1000 may be awarded per PA applicant. Lump sum distributions are usually made for residential treatment and comprehensive assessments, as total charges are per admission. Partial distributions may be made to providers of outpatient treatment, as fees are usually charged per session or group of sessions, and payments come due in increments over time. For more information on the Kober Treatment Grants, please contact NCPHP or Emily Adams at emily.adams@ncapa.org. The NCAPA Endowment has grants available for one student from each PA program in North Carolina. The applicant must be a student member of NCAPA and enrolled in the first 12-month period of their clinical year in September of the current year. Established in 1992, the NCAPA Endowment is the philanthropic arm of the North Carolina Academy of Physician Assistants. The mission of the NCAPA Endowment is to promote the future of the PA profession in North Carolina by granting educational scholarships and supporting philanthropic and research activities. 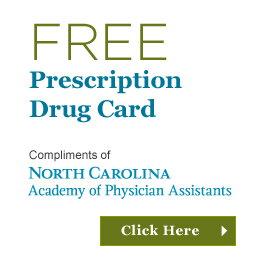 The NCAPA Endowment seeks to advance the goal of improving health care in North Carolina.